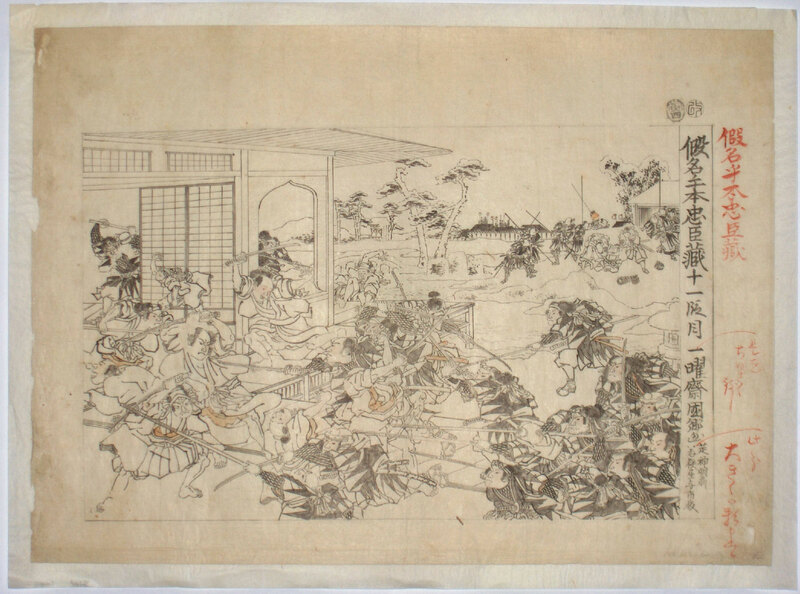 A fine oban drawing, sumi and light colour, showing the 11th scene of the Chushingura. The drawing is relatively finished and in the state to be submitted to the official censor. ( See Aratame plus date seal Tiger 4 [ 1854 ]. ) There are instructions in red at right side indicating changes to the size of the kanji characters. Good condition. Laid onto Japanese paper. Signed Ichiyosai Kunisato ga. 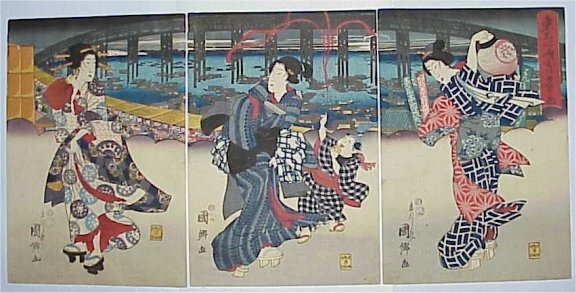 Female figures and a child against a backdrop of the Sumida River and the Ryogoku Bridge. Azuma meisho Ryogokubashi yugeshiki. Published by Maru-ya Kiyojiro, Hare 2 (1855). Very good impression and colour. Minor soil and wormage, otherwise very good condition. Signed Ritsusensai Kunisato ga.